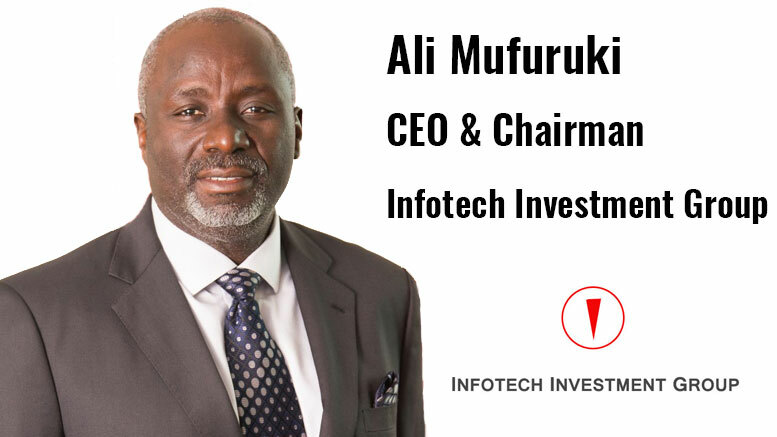 TanzaniaInvest had the pleasure of interviewing Ali Mufuruki, Founder, CEO and chairman of Infotech Investment Group. Infotech is a group of companies with interests in ICT, media, telecoms, private equity, retail and real estate across a number of countries in Africa and beyond. Mufuruki is also a co-founder and chairman of the CEO Roundtable of Tanzania, a policy dialogue forum that brings together more than 100 CEOs of leading companies in Tanzania. Mufuruki discusses the impact of the government’s measures on the business climate in Tanzania and on Infotech. TanzaniaInvest (TI): President Magufuli’s government is channelling its efforts to eliminating corruption and optimizing budget expenditure. This is clearly impacting the business climate. To which extent? Ali Mufuruki (AM): I measure the impact of policy on the business framework mainly by looking at how it has affected my own businesses, and by listening to my colleagues, particularly from the CEO Roundtable. What we have seen so far is that President Magufuli’s reduction of government spending has negatively impacted businesses that depend on consumer expenditure. This shows that a big amount of money feeding those businesses actually came from the government. For example, the number of air passengers has been affected since Magufuli banned unnecessary trips of government officials. However, I believe that this is not necessarily bad since our economy wasn’t sustainable and wasn’t based on fair competition. Now, we are going to have a more efficient, competitive and sustainable economy, and as a society, we are going to adjust to this new environment with less money in circulation. Accordingly, the population is reducing its spending. TI: And how has this affected Infotech so far? AM: In general, retail has not been impacted that badly, which is a very good indicator of economic performance and consumer behaviour. Within our group, we are currently slightly below budget, but we are ahead of last year, so I suspect this is seasonal and we should recover soon. I think that solid businesses will last, especially businesses that were loan-free. TI: The current cash crunch is also impacting Non-Performing Loans (NPLs) whereby in Q3 2016 many banks in Tanzania have shown NPLs above 5%. Do you see this negative trend to continue? AM: I suspect that we will further see some residual NPLs that were not covered in Q3 2016. And I believe that we will witness similar NPL levels in the coming quarters because not many businesses have the capacity to recover within the space of 90 days. For instance, if there is a company that is 100% dependent on government funding, and the government cuts off funding from that particular sector, then this company will have to restructure its business, which may not be sufficient to pay off the company’s loans. So, I think that there will be quite a significant increase in NPLs in the near future. TI: There are 60 banks and non-banking financial institutions operating in Tanzania. Given the current climate, do you foresee a consolidation? AM: One of the reasons why these NPLs are threatening banks is because many of these banks are undercapitalized. Many banks in Tanzania have capital bases of USD7.5m or USD5m, which could lead to a crisis. Hence, consolidation could be a solution. I think what Tanzania needs is the Nigerian type of consolidation that occurred about 15 years ago where the statutory minimum reserves were increased. At the same time the central bank advised banks to collaborate and merge to better withstand and absorb the shocks. TI: The current government has made the decision to move its headquarters to the capital city Dodoma. How will this impact real estate in Dar es Salaam? AM: I think this poses a big opportunity for Dar es Salaam. Dar es Salaam is struggling to develop and one of the biggest obstacles is the government since it occupies most of the real estate in the city. And the government was never interested in renovation or improvement of the buildings it occupies. President Magufuli has said that he intends to auction and sell those buildings to private developers, which means that they are probably going to be available at a very low price. TI: All in all, do you see the current government undertaking the right steps for the social-economic development of Tanzania? AM: I think that what has been done in relation to eliminating corruption was absolutely necessary, and it needs to continue, because the consequences were beyond economic. However, I think that the government also needs to create an economic stimulus, which will counterbalance the cash crunch that we are all facing due to the fight against corruption. Tanzania depends a lot on the actions of the government and this government has managed to sustain the pressure on corruption for 12 months now. If this continues, I believe that Tanzania will turn into a country where people will have to work to earn money, and where money will actually have value. All we need for this transition to happen is the GDP growth to continue and reach double digits. For this, there are a lot of infrastructural projects that the government has agreed to spend money on; these projects include the railway line for USD7.5b, the crude oil pipeline from Uganda to Tanga for USD3.5b, the LNG plants, and the gas pipelines.